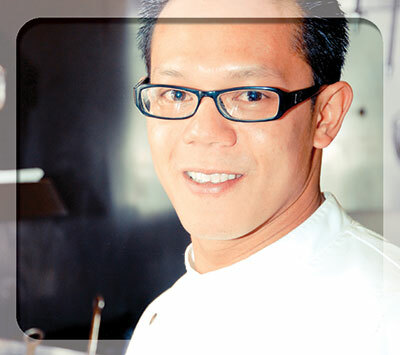 Formerly the Executive Chef at the Outer Banks Brewing Station, Chef “Pok”, as he’s known to everyone on the beach, has been an icon in the OBX restaurant scene since coming to the beach as a child from Bangkok, Thailand to work in his uncle’s famous KDH restaurant, the Thai Room. In his early 20’s, Pok earned an opportunity to go to New York City and learn under world acclaimed Chef Daniel Boulud at the famous Le Cirque Restaurant. He spent 3 years refining his talents under Chef Boulud’s staff and was honored to chef at a James Beard house event as well as other high profile affairs in New York. Upon returning to the Outer Banks, Pok was helpful in opening such acclaimed restaurants as Millie’s with Chef and friend Joel McClennan. Pok landed at the fine dining, Carolina Blue in Southern Shores. Apprenticing under acclaimed Chef Chip Smith, Pok rose to the level of sous chef and learned the continental fusion influences that still inform his cooking today. In 2004, Pok came to be the sous chef at the Outer Banks Brewing Station, and took over the Executive Chef duties in 2007. The restaurant’s menu gained great favor and loyal patronage with Pok’s leadership and innovative cuisine refinement. In 2013, Pok spent several months as Sous Chef at the highly acclaimed Trump International Hotel on Waikiki Beach Hawaii. He returned to the Outer Banks with new skills, knowledge, and a renewed vigor for exploring culinary diversities. In the Summer of 2014, Pok ventured out on his own to open Pok’s Art Asia Fusion as Chef and co-owner along with his brother Art Maliyam, another who has been in the restaurant scene here on the Outer Banks for many years. Collaboratively they are breaking new ground and creating innovative dishes steeped in the emerging ideas of bringing cultures together by way of food and a passion for travel and discovery of new cuisines.